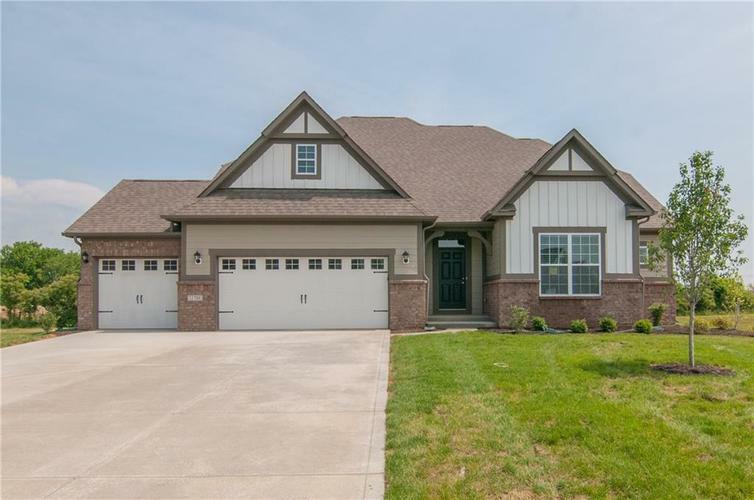 Serenity 3 beds, 2.5 baths, open concept kitchen & great room, full basement, 3 car garage. An airy foyer with a tray ceiling. Great room with gas fireplace & slate surround & white mantle. The gourmet kitchen includes island with Quartz countertops & loads of upgraded staggered cabinets. GE® appliances including a microwave, dishwasher, double oven, and a gas cooktop. Breakfast area with a bay window from here you can access a covered porch. The retreat with a walk-in closet, an extension with bay window, and a garden style bathroom with ceramic flooring, dual raised vanities, and a large, subway tile, walk-in shower with a rain style shower head. Full basement with full bath rough in and egress windows.